In his acclaimed first novel, The Red Wolf Conspiracy, Robert V. S. Redick launched the gargantuan ship Chathrand and its motley crew of misfits, murderers, and monsters toward a landfall that may exist only in legend. Now Redick masterfully ratchets up the suspense with deep intrigue, ancient powers, and shocking new revelations.Though the immediate plans of the dark sorcerer Arunis have been thwarted, the battle for control of the Chathrand, on which the fate of empires hinges, is far from over. 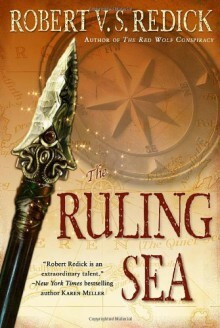 On board, a small band of allies bound together less by trust than by desperate need scrambles for a means to defeat the conspiracy, while the nobleborn Thasha Isiq and the lowly deckhand Pazel Pathkendle find themselves unwillingly drawn inward to the plot’s core—and into a deadly game that will force them to make hard sacrifices.The wizard Ramachni has left the travelers and retreated to his own world to nurse his battle wounds, but Arunis remains at large—weakened, yet still a terrifying foe. More pressing is the conspiracy of the Arquali Emperor, his chief assassin, Sandor Ott, and the Chathrand’s notorious captain, Nilus Rose, to use the dawn wedding of Thasha and a Mzithrin prince as a signal to launch a war. With every move they make, Thasha and her compatriots find that they have more to lose—especially the deposed ixchel queen, Diadrelu, and the woken rat, Felthrup, who each harbor terrible secrets they dare not reveal.Worst of all is a hidden, festering horror lurking in the hold of the Chathrand. A danger that not even Ramachni could have foreseen, it is the twisted product of a malevolent power determined to pull down the pillars of the world. Now, as the Chathrand sets course through the uncharted waters of the vast and mysterious Ruling Sea, the fragile bonds of trust and love beginning to form between the unlikely allies will be tested to the breaking point—by unspeakable terrors, magical wonders, and shattering betrayals that dwarf anything that has come before.